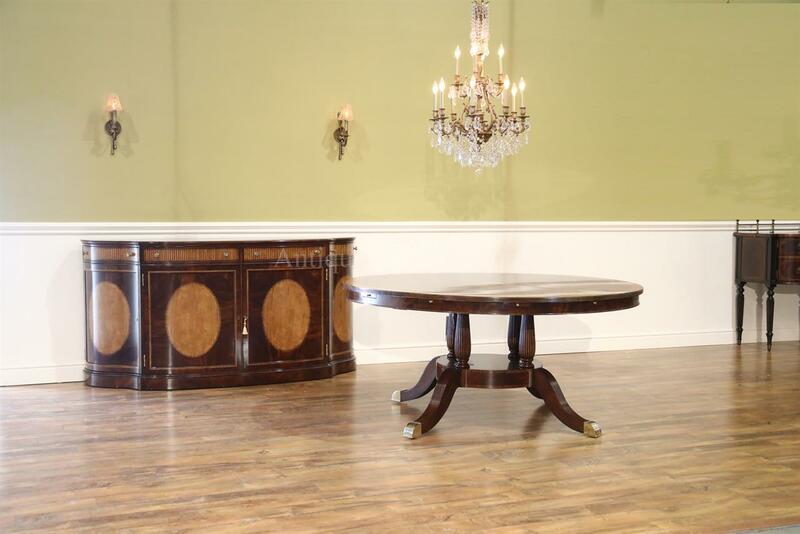 Matching side cabinet available as separate purchase.Table shown with no leaves. 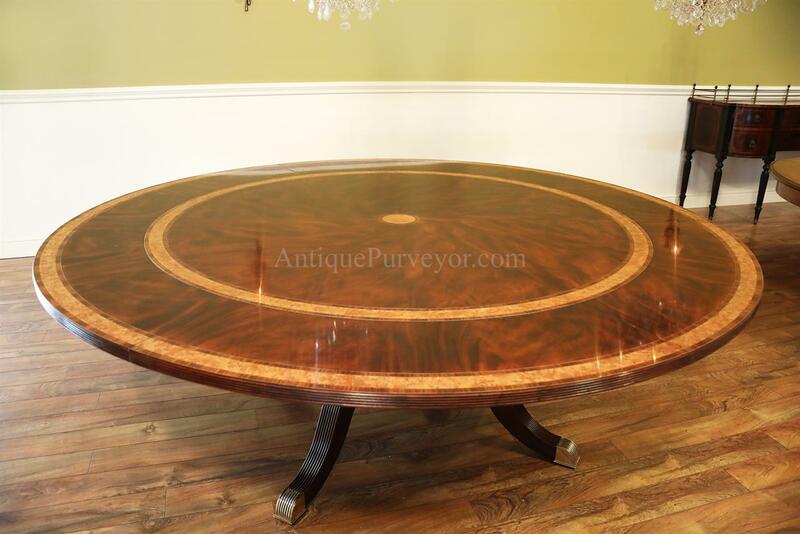 Description: Extra large round mahogany dining table seats 6 to 12 people. 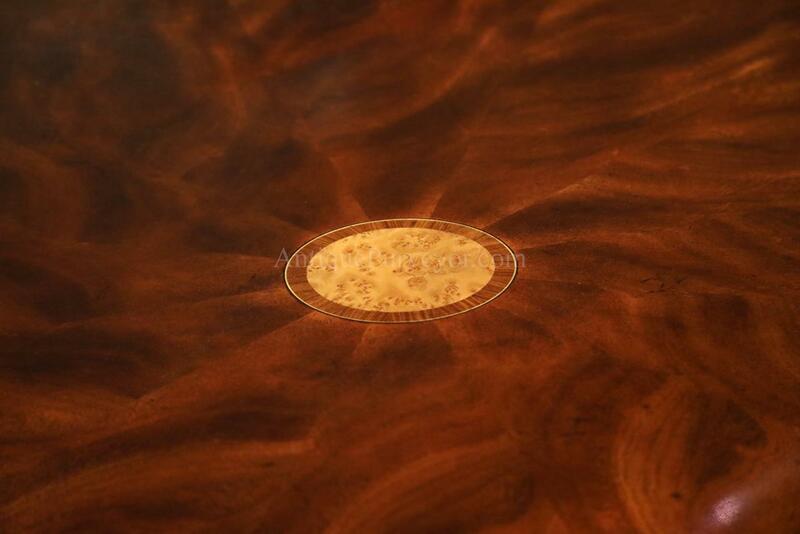 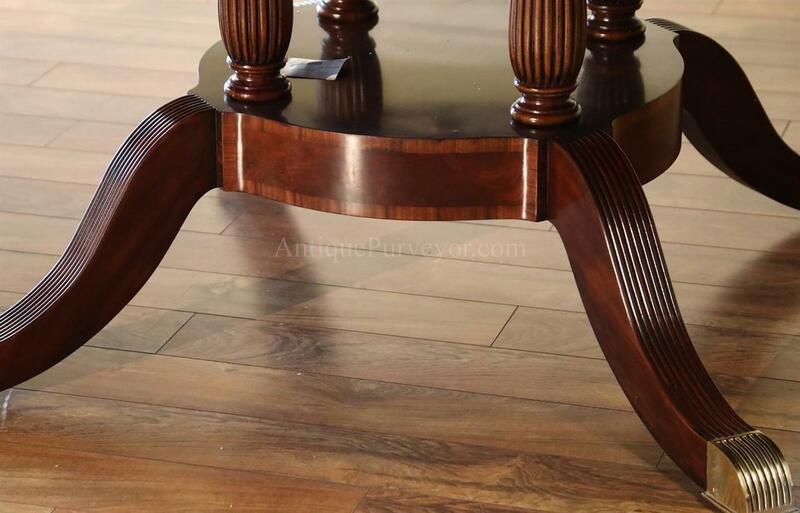 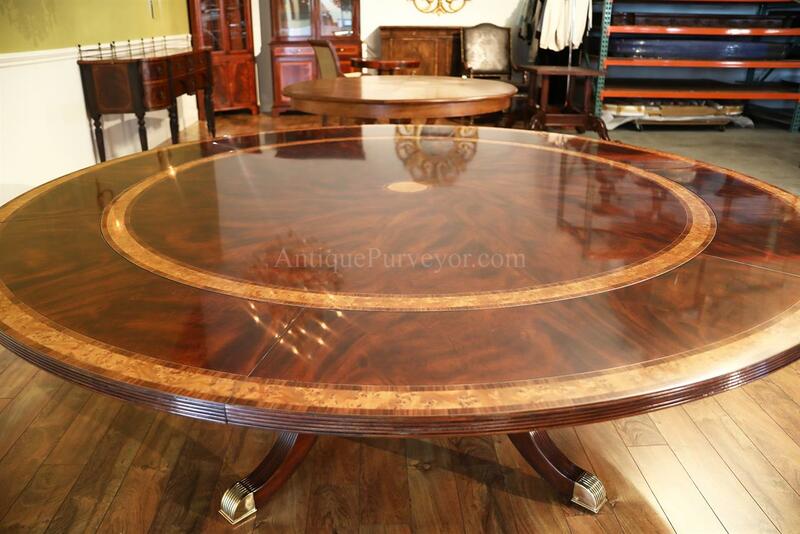 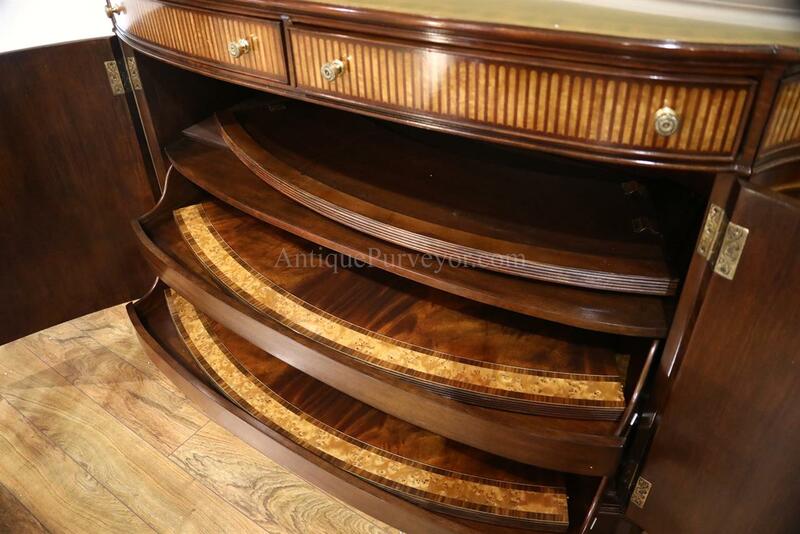 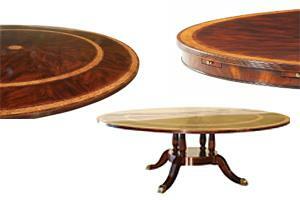 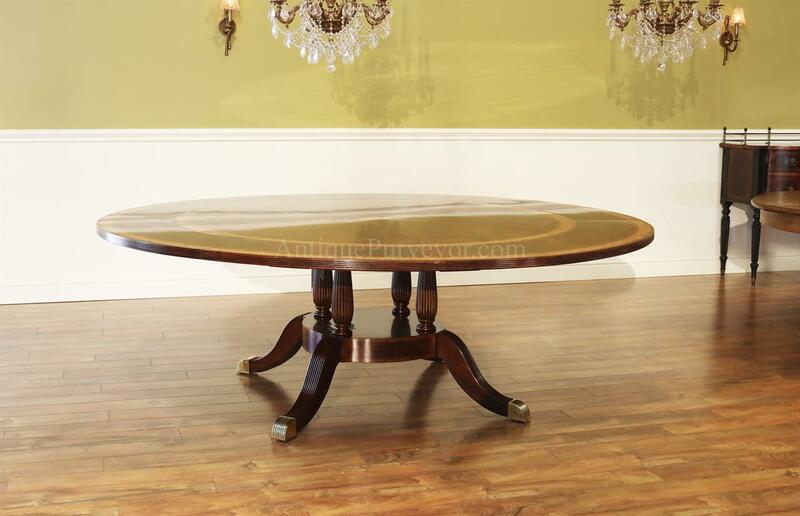 Extremely well made round perimeter table with contrasting inlays and burly borders. 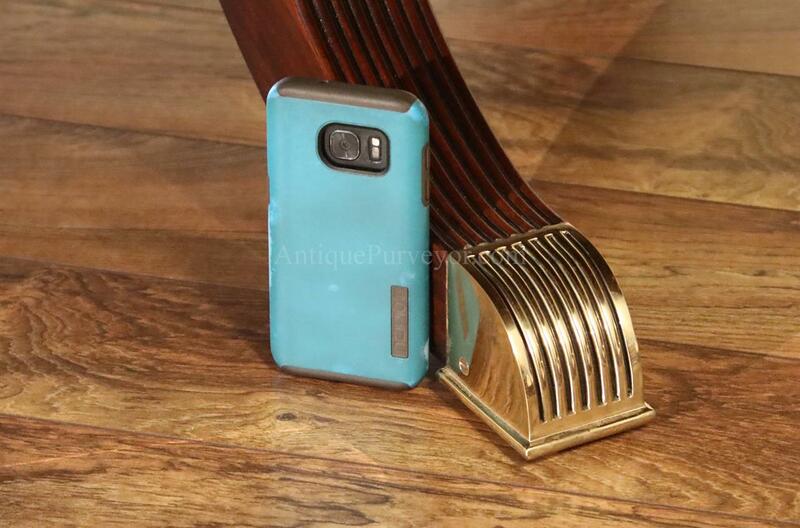 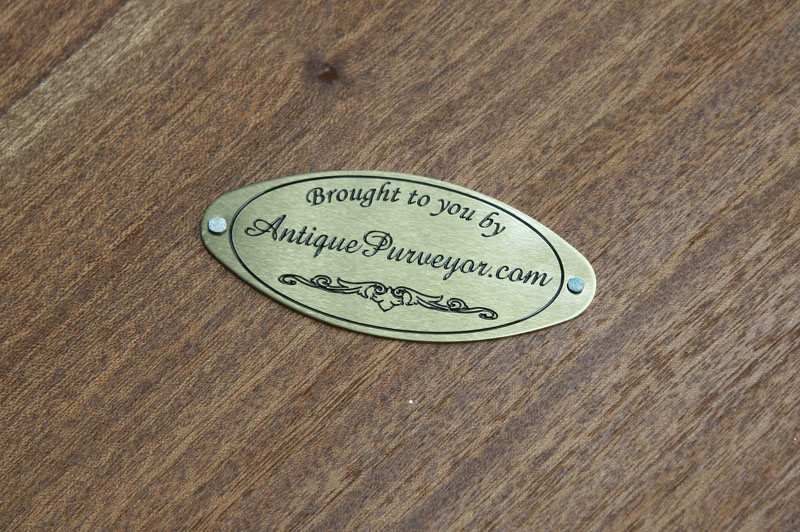 Table stands on very heavy and sturdy overbuilt birdcage pedetals with custom poured brass casters. 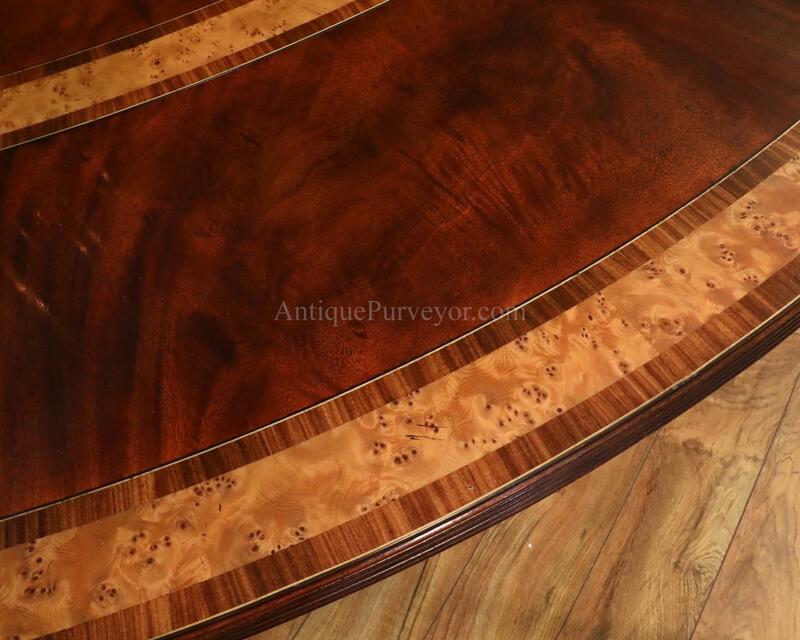 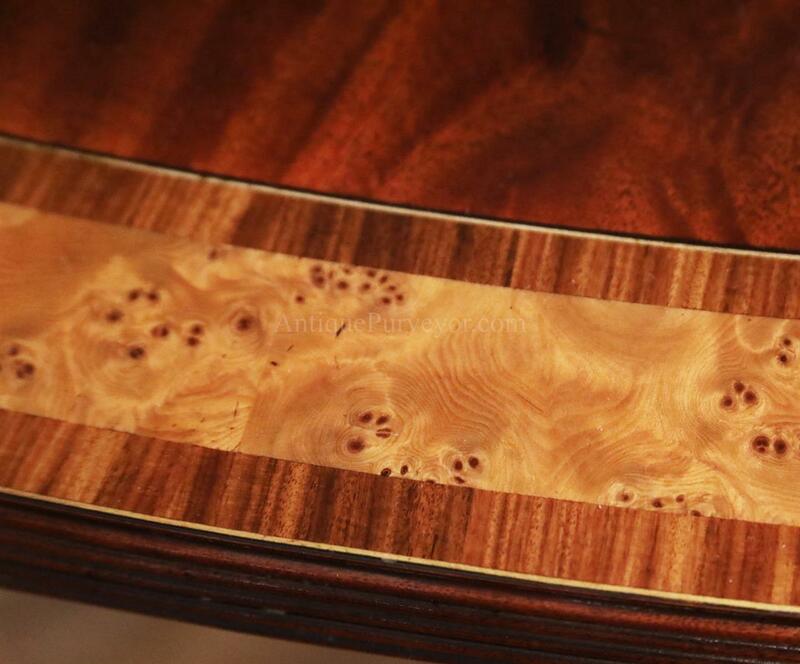 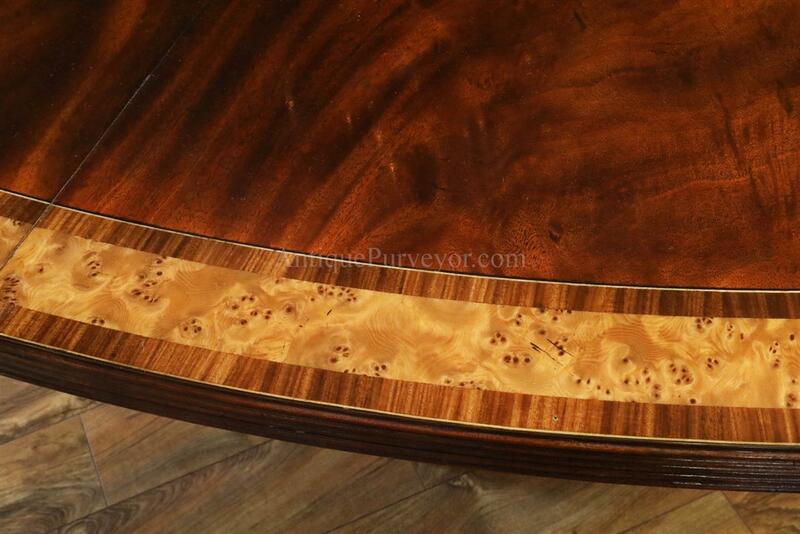 This table has a pie cut mahogany field and a center inlay. 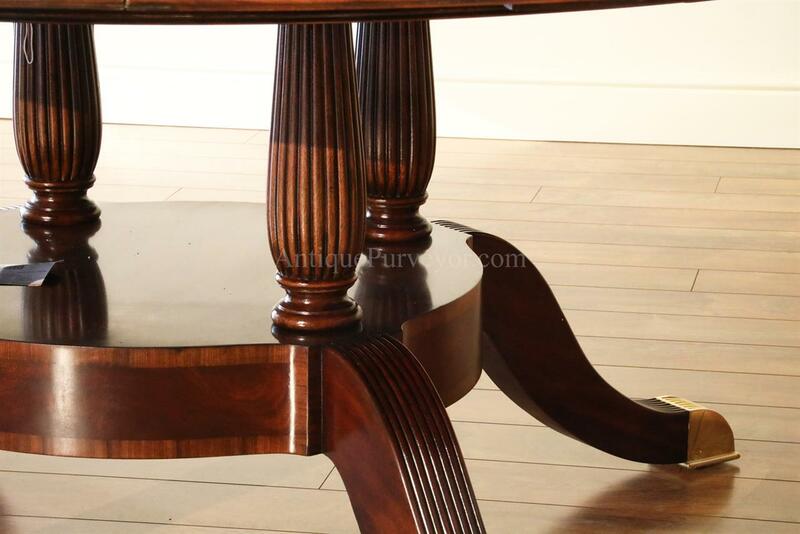 The perimeter style leaves can be stored in a separate cabinet which is sold separately.